Earlier this morning (February 26), French electronic legends Daft Punk officially announced they had signed with Columbia Records, though we still don't know exactly when they'll deliver their next LP. In the meantime, an old DJ set from band member Thomas Bangalter was recently unearthed and is now available to stream in full. Fansite the Daft Club [via FACT] has posted what is said to be Bangalter's set from the 2000 edition of Miami's Winter Music Conference. While this has yet to be confirmed, the French Touch-driven run-through of tracks from Michael Jackson, New Order and more seems to line up with Bangalter's back catalogue. You can see the tracklist and stream the whole set down below. 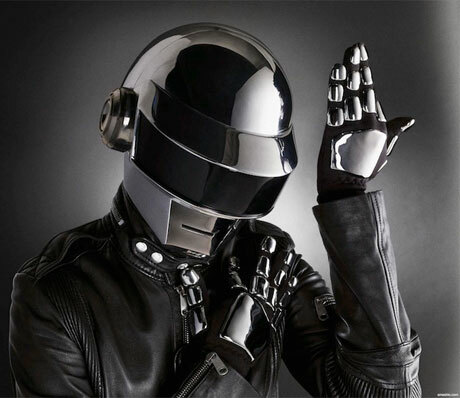 As for Daft Punk's new LP, it's rumoured to drop sometime in the spring and apparently features guest spots from Giorgio Moroder, Paul Williams, Nathan East and Chilly Gonzales, among others. 7. Parris Mitchell- Ghetto Shoutout! !